Steven Gerrard has won the Champions League with Liverpool in 2005. The most successful English club in the Champions League, Liverpool are known for their attacking approach and quick counter-attacking style of football. The Merseysiders won the Champions League five times (1976–77, 1977–78, 1980–81, 1983–84, 2004–05). Jurgen Klopp's men are doing well in this year's Champions League and have one foot in the semi-finals after beating Manchester City 3-0 in the first leg of the quarter-finals. They have a real chance of winning the competition and are capable of beating any team on their day. From Kenny Dalglish to Steven Gerrard to Mohamed Salah, the club has a never-ending list of iconic attackers and have scored more than 350 goals in the competition. On that note, let's look at the top five Liverpool goalscorers in the Champions League history. 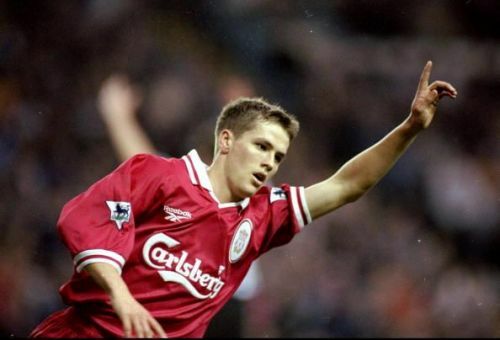 At number five on this list is one of the best Liverpool strikers ever, Michael Owen. He scored nine goals in 16 Champions League games. The former England international was a revelation since his debut for Liverpool in 1997. He finished as the joint Premier League top goal scorer (18 goals) in his first full season. 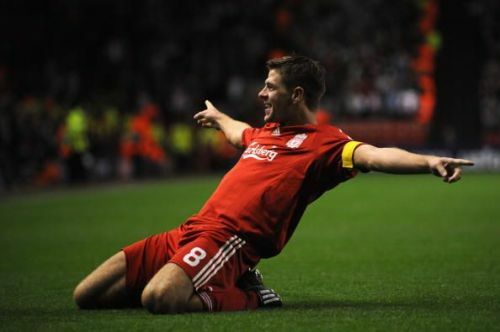 In fact, he was Liverpool's top goal scorer from 1997 to 2004. The former Liverpool striker's amazing form for his club and country earned him the Ballon d'Or in 2001. He received the Premier League Golden Boot award in the seasons 1997-98 and 1998-99 along with the Golden Foot award in 2017. He had brief spells with the Real Madrid, Newcastle United and Manchester United, however, he is best known for his time at Anfield.